For over 40 years EPP has been working with most every plastic on the market. Over the years, plastics have made rapid developments. 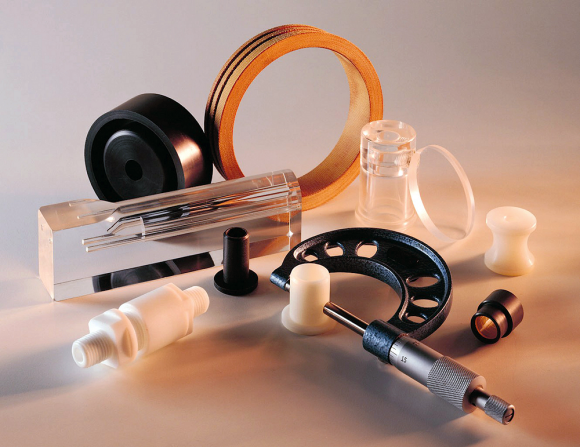 We have been on the cutting edge of matching technology changes in plastics and their properties and translating them into the most current, durable, long-lasting and quality plastic parts on the market. Our vast material supplier list allows us to both locate difficult materials and keeps our costs low. We also specialize in assisting OEMs to convert metal parts into plastic. We allow the parts to come in with the same or better physical and mechanical properties of metal but most time lighter and most cost-effective. For a complete list of the materials we can machine, visit our materials page. Still Confused About Plastic Properties? Sign up to get facts and tips on choosing plastic materials delivered to your inbox.